We are a small hotel situated at the end of Paje on the East coast of Zanzibar. Paje ranks among one of the most beautiful beaches of East Africa and charms with its christal blue lagoon and kilometer long white beaches. It is the perfect hideaway for kitesurfers and guest who are looking for tranquility. Hotel on the Rock is the different type of boutique hotel and we love it. Our spacious deluxe bungalows are charming designed in a modern Zanzibar style. The rooms are in second row beachfront and offer an uninterrupted sea view. All rooms are equipped with a Kingsize bed, oversized mosquito nets, ceiling fans, bedside table, nightlamps, and a wardrobe for your personal belongings. All Deluxe Bungalows have bathroom ensuite with an exotic wooden shower with hot water and high pressure. Each room has a small terrace to relax and enjoy the view. Private terrace, Seaview, Bathroom ensuite. Our spacious deluxe tripple bungalow is special designed for families or friends who travel together and offers enough space for up to 3 people. The room is in second row beachfront and offer an uninterrupted sea view. The room is equipped with a Kingsize bed and one single bed, oversized mosquito nets, 2 ceiling fans, bedside table, nightlamps, and a wardrobe for your personal belongings. All Deluxe Bungalows have bathroom ensuite with an exotic wooden shower with hot water and high pressure. The room has a small terrace to relax and enjoy the view. Our spacious Superior bungalows are made out of Coconut wood, charming designed in a modern Zanzibar style. The rooms are in first row beachfront and offer an uninterrupted sea view. All rooms are equipped with a Kingsize bed, oversized mosquito nets, ceiling fans and Air-condition, bedside table, night lamps, and a wardrobe for your personal belongings. All our Superior Bungalows have en-suite bathroom with big shower and hot sweet water with high pressure. Each room has its own private balcony with wood deck from where you can enjoy the view on the colourful garden and the blue Indian Ocean. Some of our Superior Rooms can be booked with an extra bed, surcharge 30$. Please mention this in the notes of your booking. Please note all our room rates are included a fresh delicious breakfast. please mention you choice of mealplan in the additional information in the booking form. 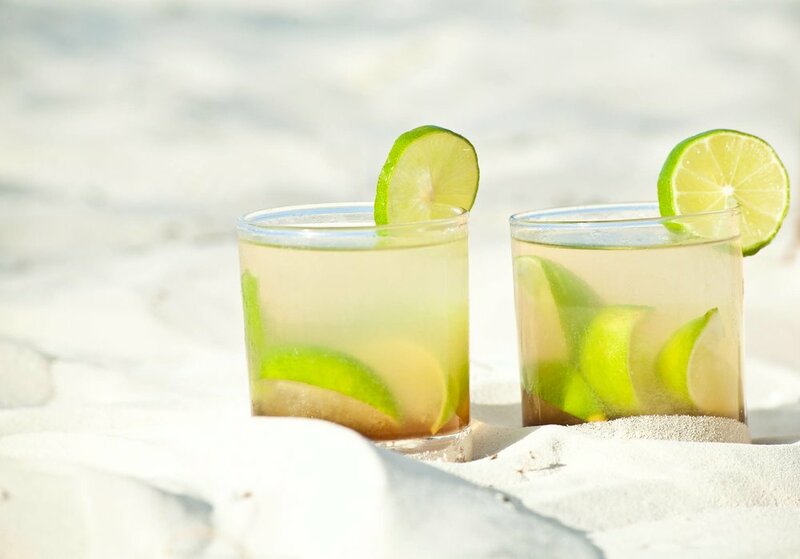 Enjoy some cold drinks and fresh yummy food while watching the breath taking Indian ocean. Lean back and relax with a good cocktail or smoothie and enjoy the fresh breeze of Zanzibar's East Coast, From our restaurant you can see over the whole lagoon of Paje. Our chef is a real magician who creates the most tasty dishes from Europe, Asia and Africa on your plate. Choose between a huge choice of fresh seafood, meat and vegetarian dishes. Are you celebrating your Honeymoon or Anniversary with us? Let us make it even more special.! 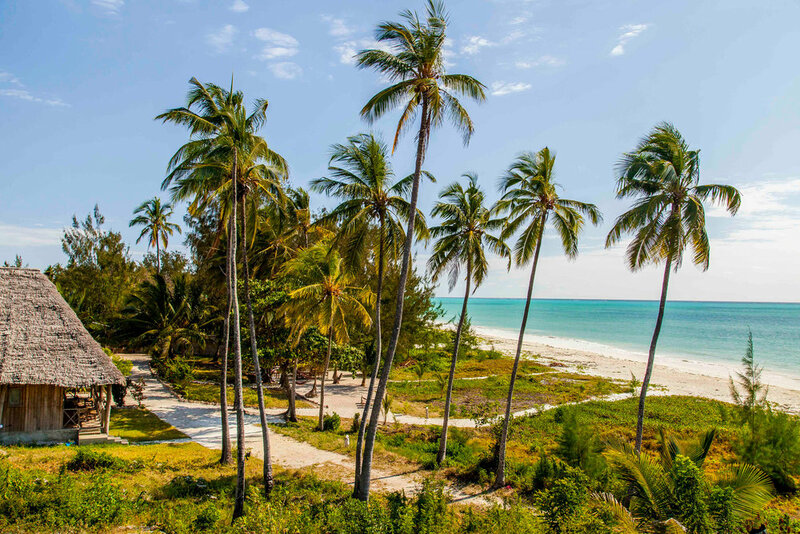 Paje is the perfect base for all main attractions Zanzibars. If you want to swim with Dolphins in Kizimkazi or taking a tour through Jozani Forest, to visit the Red Colobus Monkey, all locations are very easy to reach. For those who like to enjoy their holidays from the waterside, there are several activities as Kitesurfing, Snorkeling, Safari Blue and Scuba Diving nearby. Hotel on the Rock is located on the south east coast of Zanzibar at the end of Paje. The area is perfect for KiteSurfing, if for beginners or advanced, the lagoon offer the ideal conditions for both. Environment and wind conditions are perfect for most months of the year. You will find a couple of Kitecenters just next to Hotel on the Rock. 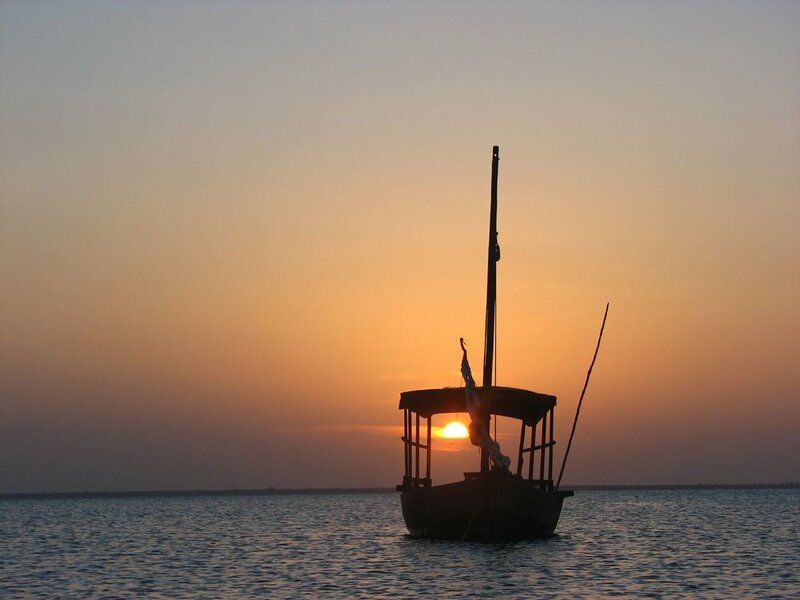 Take a trip with a traditional wooden Dhow boat to one of the best snorkeling spots of Zanzibar. Anchor in the famous Blue Lagoon, put on your flippers and have a delightful insight on Zanzibar’s rich marine life! One of our favorite tours takes you out to to christal clear waters. Sail on a big Dhow and snorkel in the Indian Ocean, have lunch on a lonely island and enjoy the freshest seafood BBQ you can get. One of the top tours you should have tried. Jozani Forest Tour brings you to the nature conservation area where you will encounter the Red Colobus Monkeys, unique on Zanzibar. Stone Town, the town, which was formerly the capital of Oman, was declared as an UNESCO World Heritage site in 2001.Walking around Stone Town, you can see the impact of the different cultures on the buildings around you. It is definitively a magical and charming place and a MUST for anyone who visits the island. Taste, smell and discover herbs and spices of Zanzibar. Walk around the plantations and learn how to grow, harvest and use them. Learn about the history of vanilla, cardamom and cinnamon. A tour for all your senses combined with a lot of fun. Take a boat ride from Kizimkazi and meet pods of white dolphins and blue porpoises in their favorite spot. Join them as they play in the waves and have the close encounter that you will never forget! Saturday Hotel on the Rock organizes its delicious Beach BBQ. The setup is right on the beach with a delicious choice of seafood and meat from the griller and a huge variety of side dishes, salads, soups and deserts. Our team will prepare a cozy Bonfire for you that creates a fantastic atmosphere to relax after the dinner and enjoy the LIVE MUSIC that is playing that night. The BBQ is not taking place in the low season and we are kindly asking for pre - reservations. Hotel on the Rock is situated at the end of Paje, beginning of Jambiani. We are 60 km from Zanzibar airport outside of Stone Town and it takes you about 1 hours drive to get here. Please let us know if you wish us to organize an Airport transfer for you. In case you come on your own or by public transport, just take the road out of Paje to the direction of Jambiani and you will find us after 2 km on the left side of the road. We accept Tanzanian Shilling, USD, Euro and Pounds. Please note that there are no ATM´s around. The only option to withdraw cash is in Stone town. We do accept Visa and Mastercards, please note that there is an additional fee of 5% extra charge on top for credit card payments. Thank you! We have received you Email and will get back to you within the next 24h. All the very best from Paje, Zanzibar! Your Hotel on the Rock Team!